The original colour for the squirmy worm and probably still the best! 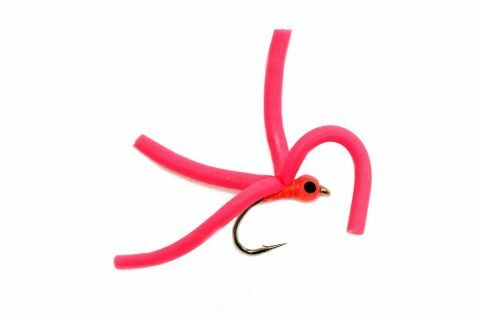 This version of the red squirmy has an abundance of movement and can be fished either retrieved, static with a Fario Bung or even on the river. This particular pattern has been successful for Grayling in the winter months as well as for its intended species - Rainbow Trout. This fly also makes an amazing stalking bug for targeting fish - it has weight, movement and colour. Fario have had fantastic feedback from customers about their results with this fly. Bead- 3.3mm Flu Orange with signature pupil.